On Monday night, much of America watched as the Florida State Seminoles took on the Auburn Tigers for the last BCS Championship game. In a game for the ages, FSU pulled out a 3-point victory in the last 5:00 minutes of the game, winning FSU its third BCS National Championship and putting an end to the SEC’s streak of winning national championships (7 in-a-row). As I scrolled through various social media outlets during and after the game, I noticed one of two sentiments: 1) people supported the SEC and Auburn, and 2) people vehemently opposed the SEC. Of the second group, many people didn’t really care which team in the country won the national championship as long as the team wasn’t from the SEC. I briefly mentioned this to a SEC-supporting friend of mine and his response was, “Yeah. Everyone hates the SEC. We won too many straight.” He’s probably right; the American way is capitalism without monopolies. It’s ok to do extremely well, but don’t completely dominate. The SEC’s mastery of the football field had gotten to an unacceptable level for many. 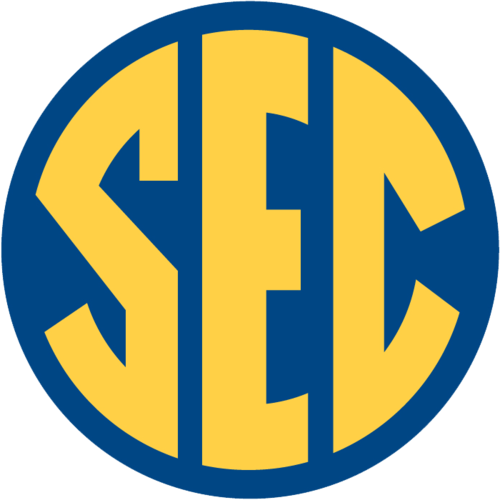 For those of you in the second group (to be clear, this South Carolina gal LOVES the SEC), I’m here to provide you with a little icing on your SEC-hater cake. Last month the Tucker Center for Research on Girls & Women in Sports at the University of Minnesota and the Alliance of Women Coaches revealed the results of their study, A Report on Head Coaches of Select NCAA Division-I FBS Teams, on the status of female college coaches at 76 of the biggest NCAA Division I programs. The study assessed the number of female head coaches who were coaching female teams and revealed that the SEC (when compared with the ACC, Pac-12, Big East*, Big 12, Big 10 and AAC**), for the second straight year, had the worst showing. The study gave grades from an A to an F based on the percentage of female coaches. *** A school was given an “A” if 70-100% of its coaches were female, a “B” if 55-69% were female, a “C” if 40-54% were female, a “D” if 25-39% were female, and an “F” if 0-24% were female. Of the 14 SEC schools, 4 received Fs, 8 received Ds, 1 received a C, 1 received a B, and no one received an A. *Cue the boos from the SEC-hater clan. * Yes, the SEC dominates in football, but is failing in hiring female coaches. Unfortunately, the SEC is not alone in its dismal display of female coaches. That’s right, here’s where I tell you that you can spread your disdain around on a more equitable basis. Of the remaining conferences, only one conference (the AAC) had a school that received an “A” (Cincinnati), and the majority of the other schools received C’s and D’s. So the lack of female coaches exists across the country, not just in the SEC. In 1972 when Title IX was enacted, 90% of women’s teams had female coaches. More than 40 years later, the percentage is down to a mere 39.6%. This statistic is even more alarming when you consider that female participation in NCAA sports is at an all-time high. So what gives, why has there been such a significant decline in female coaches. The study revealed a correlation between the prominence of head coaching positions and the number of female coaches. The data shows that as head coaching positions became more and more prominent, garnering more money and respect, schools hired fewer numbers of female coaches. This says two things to me: 1) male coaches did not care to coach women until they saw the benefit in it for themselves and male sports became too competitive; and 2) institutions supported gender stereotypes about leadership by replacing many female coaches with male coaches. These two things have broadened the spectrum of possible positions for male coaches and made coaching for females more difficult. While there is absolutely nothing wrong with men coaching women, this gradual phasing out of female coaches must stop. Besides the fact that principles of equality say that talented, capable and willing women should be given the opportunity to occupy head coaching positions, the decline in female coaches is a hindrance to the development of women in general, female athletes and society as a whole. The failure to place women in head coaching positions prohibits the expansion of female role models. If women are allowed to reclaim these positions, young women are more likely to view coaching as viable profession, pursue coaching, and in turn expand the role of women in society and women’s sports. Female coaches can provide insight and advice to female athletes that male coaches cannot match. For athletes themselves, having a female coach can provide a more nurturing, relatable environment that helps athletes develop as women and not just as athletes. For society as a whole, returning women to head coaching positions plays against and marginalizes stereotypes that women do not belong in and cannot handle positions of power and authority. As women are successful in these positions, society is less likely to question females’ abilities to be leaders. None of this is to suggest that men stop coaching women. I think coaches like Gino Auriemma have more than proven their worth to the success of women’s sports. What it is meant to suggest is that (at least in Division-I) schools are doing their female athletes and society a disservice by failing to employ more female coaches. Female coaches have the same abilities to coach female athletes as do their male counterparts, but their presence offers important intangible things that male coaches simply cannot offer. Schools should be jumping at the opportunity to have staff that promote the growth of women’s sports and women’s places in society. I hope that these results bring shame to these and other colleges and motivate and encourage them to change the way the staff their women’s teams. Click these links for more information on the Tucker Center, the Alliance of Women Coaches, and their studies. *The study did not report on Butler or Creighton. **The study only reported on 6 schools in the AAC. ***Female coaches refers to the head female coaches who coach female sports.